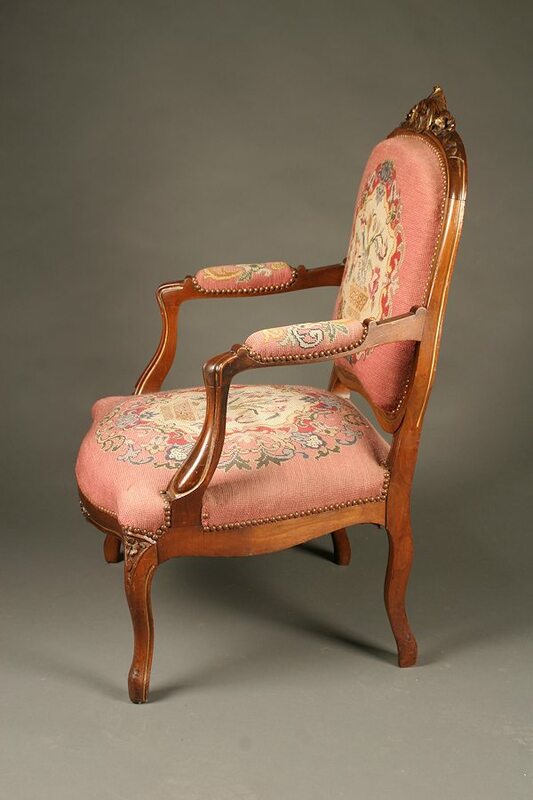 Pair of French Louis XV style arm chairs with parcel gilt.Pair of French Louis XV style arm chairs with parcel gilt. 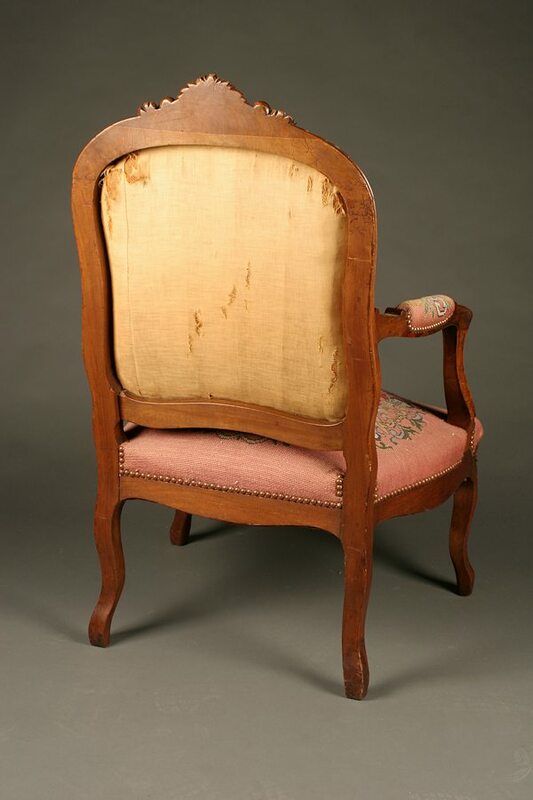 Pair of French Louis XV style arm chairs with parcel gilt. 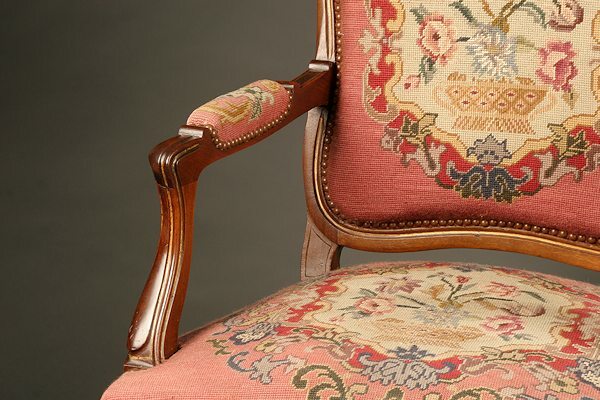 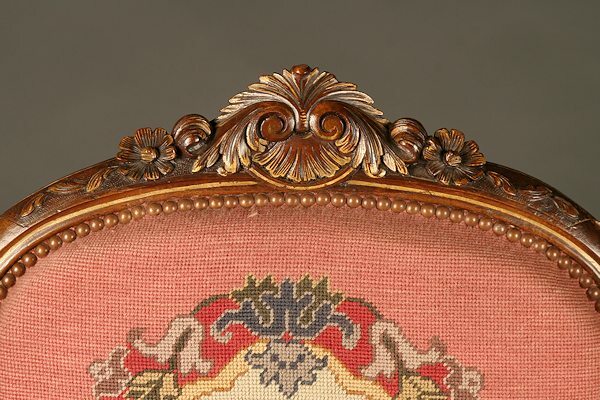 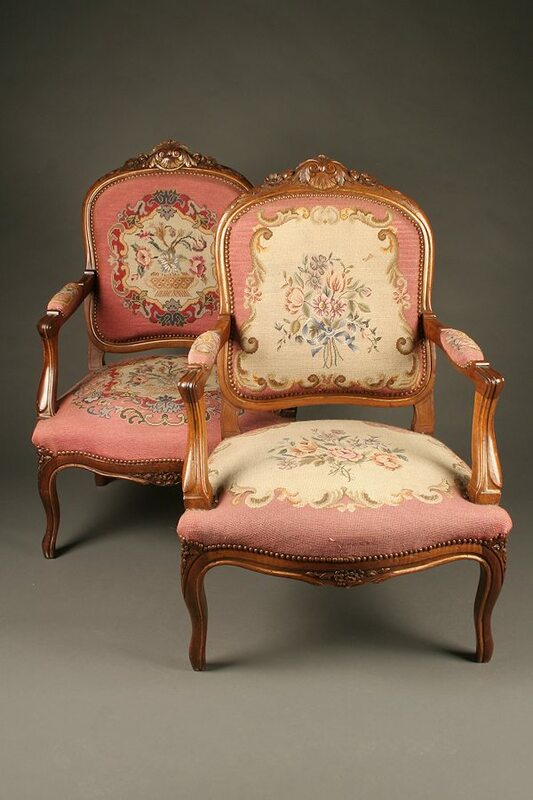 Pair of hand carved French Louis XV style arm chairs with parcel gilt, circa 1880.